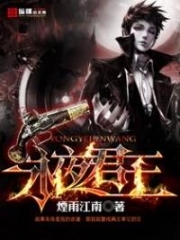 You’re reading novel Chaotic Sword God Chapter 801: Gathering At The Changyang Manor (One) online at LightNovelFree.com. Please use the follow button to get notification about the latest chapter next time when you visit LightNovelFree.com. Use F11 button to read novel in full-screen(PC only). Drop by anytime you want to read free – fast – latest novel. It’s great if you could leave a comment, share your opinion about the new chapters, new novel with others on the internet. We’ll do our best to bring you the finest, latest novel everyday. Enjoy! Inside the Yangji sect of the ten protector clans, the current sect master sat on a raised throne in a majestic hall. Sitting below to his sides were a dozen or so old men. They were all Saint Rulers. Although they were not the most powerful in the sect, they were all high-ranking members. The entire sect was managed by these people who possessed a status similar to caretakers. “We’ve already found out that Yang Yutian is Jian Chen. His home is in Lore City of the Gesun Kingdom. He is from a small clan under the name of Changyang. His name in the clan is Changyang Xiangtian.” The sect master on the throne spoke indifferently as he glanced around. “What? The Changyang clan? The Changyang clan of the protector clans?” As soon as the sect master said that, many people below immediately began to exclaim in surprise. “That’s true. Just how big is the Tian Yuan Continent? Encountering clans with the same names is something very common. The sect master should have a.n.a.lysed it correctly. The Changyang clan of Lore City must only bear the same name as the protector clan.” The sect master’s words immediately prompted many to agree. A dozen or so people currently soared through the skies in the Gesun Kingdom. The two leading people were a young woman who seemed to be in her twenties and a young man who seemed to be just a little older. The man was handsome while the woman was pretty. They were clearly born and raised in a powerful clan, naturally radiating with an aura of n.o.bility. Due to their rather similar appearances, they seemed like a pair of siblings. Behind the two of them were twelve black-clothed, middle-aged men. They each wore expressionless faces with cold eyes. “There’s actually a small clan around here that’s taken the name of Changyang. This is absolutely absurd! How can our Changyang clan’s name be used so casually by others? This time, we need to properly punish these impudent people,” the young lady said resentfully. She was extremely angry. “Also, sister, our main mission heading out this time was to look for information on the Winged Tiger G.o.d. Don’t get too absorbed in messing around along the way. Look at you, all you’ve done ever since we left the clan is to go sightseeing. How have you focused on the mission at all?” The man said heavy-heartedly. His gaze towards the lady was filled with affection, as well as some helplessness. The two people headed in the direction of Lore City as they chatted. Although they were all only Heaven Saint Masters, their flying speed still greatly exceeded that of an ordinary Heaven Saint Master. As a result, they reached Lore City very quickly. By this time the half a million soldiers from the Eastern Deity Swords had already disappeared, all returned to the Qinhuang Kingdom. “Sister, below us is the Changyang clan’s manor. Let’s head down.” The young man said as he pointed towards the rather large estate below. The lady furrowed her fine eyebrows when she saw the grand estate. A sliver of dissatisfaction immediately appeared in her eyes and, with a soft sneer, she descended with the man. The dozen or so Heaven Saint Masters descended from the sky, radiating with a powerful aura. They landed directly inside the estate, alerting everyone there. Immediately, a large group of guards surrounded them from all directions. They all stared vigilantly at the unwelcomed guests with stern expressions. “How dare you intrude the Changyang manor. Are you tired of living? Hurry up and name yourselves.” The captain of the guards called out. Even though there were fourteen powerful Heaven Saint Masters, the captain showed no fear as the fourth young master of the clan was a true Saint Ruler. “Hmph, you’re the ones who’re tired of living, to actually use the name of the Changyang clan without permission. How are you! And then you act so disrespectful towards me! Do you believe that I wouldn’t immediately cut off your tongue?” The lady placed her hands on her hips and eyed the captain threateningly. She was extremely unruly. Chang Wuji grimly walked over from behind. He observed the Heaven Saint Masters that had suddenly appeared with narrowed eyes, but he immediately jerked when he saw the sun-like image on the chests of the black-clothed men. In that instant, his expression became a complicated mix of emotions. Chang Wuji stared complicatedly at the rude young lady and the prudent young man. He said, “What’re your names?” Chang Wuji’s voice was actually carried an extremely rare slight trembling. “Sister, we’ve come out to handle matters, not to play.” The young man’s expression was filled with helplessness. He really was powerless over his sister. “Alright, I understand!” The lady turned around depressedly. She was very unhappy. “The patriarch has recently pa.s.sed away and a new patriarch has not been designated yet. All matters of the clan are temporarily handled by this old servant.” Uncle Chang said. “Alright, then I’ll cut to the chase and say it directly. You can’t use the Changyang clan as the name of your clan. You should change it,” the young man said calmly. The surrounding guards were all stunned as soon as they heard what was said. Soon they stared at the man like they were staring at an idiot. “Presumptuous brat, you’re the first person who’s ever dared to tell us to change names since my Changyang clan’s been established.” An old voice boomed angrily. Several dozen founding members walked out, all staring at the man angrily. The lady furrowed her eyebrows. Just when she was going to speak out, what Uncle Chang said next completely stunned the two of them. “I wonder which branch of the Zu, Yuan and Qing branches you are from?” Uncle Chang said with a rather trembling voice. “Just who are you? Are you perhaps a member of my Changyang clan?” The young man was also filled with shock. Their Changyang clan was a protector clan, one that stayed within an alternate s.p.a.ce and was kept sealed all year-round. Very few people knew about their existence in the outside world. Yet, the old man before him, a mere Heaven Saint Master, had mentioned the matter of the three branches as soon as he began speaking. This absolutely astounded the young man, as this was an internal matter of the clan. Other than a few clans which also protected the Tian Yuan Continent, very few people knew about it. “Changyang Zuyeyun. That’s the name of grandma Ye. H- ho- how do you know the name of my grandma Ye?” The lady brought her hands to her lips, while her eyes had already become the size of bronze bells staring fixedly at Uncle Chang. She was extremely shocked. Even the young man’s calmness currently had ripples appear. He stared at Uncle Chang in disbelief. He was completely speechless. 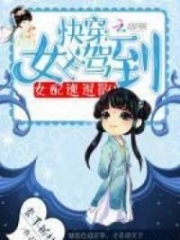 You're reading novel Chaotic Sword God Chapter 801: Gathering At The Changyang Manor (One) online at LightNovelFree.com. You can use the follow function to bookmark your favorite novel ( Only for registered users ). If you find any errors ( broken links, can't load photos, etc.. ), Please let us know so we can fix it as soon as possible. And when you start a conversation or debate about a certain topic with other people, please do not offend them just because you don't like their opinions. You're reading Chaotic Sword God Chapter 801: Gathering At The Changyang Manor (One). This novel has been translated by Updating. Author: Xin Xing Xiao Yao already has 12588 views. Current Time is Apr-22-2019 16:15:03 PM.